Angie listed this as a top trend for the season. It's not easy for me to pull off but I've tried. Here at the San Jose airport ready to board my flight to Seattle !!! This is the first time I've flown since 2008. Needless to say I got in the wrong line and security laughed at me. I haven't packed so light in ages. These were my first pair of colored jeans. And the only ones I've kept. I got them in 2010 and still like them. Combined with a big pink sweater from Zara. An Angie pick from this past spring. 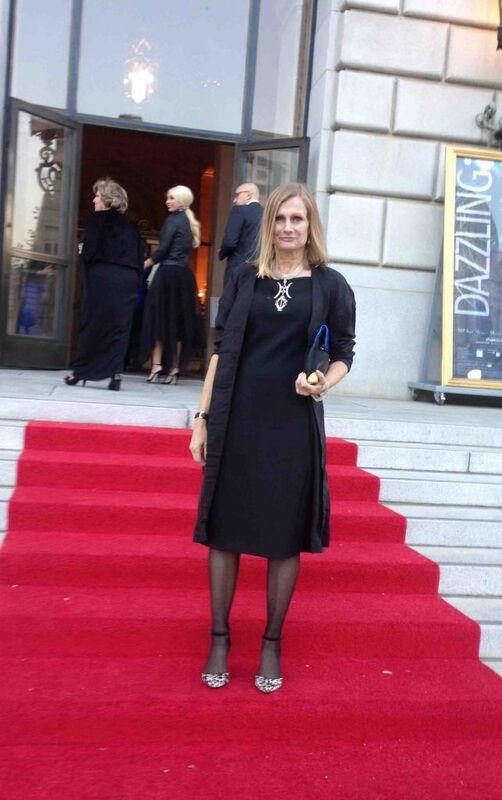 At the last minute my Mom took me with her to the opening of the SF Opera this year. It was Norma by Bellini starring Sondra Radvanovsky. She has an amazing voice! So powerful. I read a review that her voice kept cracking but I noticed very few flaws. I am, however, by no means an expert. So this outfit is nothing compared to the colorful, Oscar-worthy gowns I saw. I put this together at the last minute. It's basically my one and only dress, I got it at Zara last year at the Santa Monica meet up with Angie. Accessorized with a dramatic sliver and gemstone statement necklace belonging to Mom. Here is the artist Samantha Grisdale, she has moved away from fine jewelry. I like to think my outfit was understated and not a distraction to the artists as our seats are in row A. Lol. 1 -- On the red carpet. 3 -- The dress at home, I think I like it better without black tights. The next night we saw an American opera from 1955 by Carlisle Floyd called Susannah. I actually preferred the attire of others better this night. There were less formal but more modern outfits. I saw a woman, older than myself, in a full leather midi, leather jacket, and leather flat booties who looked amazing. And the men! There were some very sharp dressed gentleman. 4 -- My home picture of what I wore. I didn't get a chance to be photographed. I added the same silver statement necklace from the night before. 5 -- View from the side. I got this duster to go with the long shorts. It worked as a cover up for opening night as well. 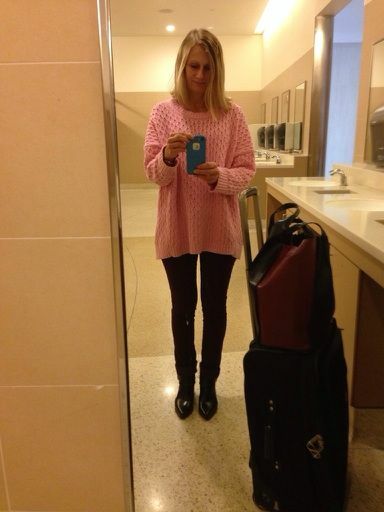 6 -- My shopping day outfit, can you guess where I took this picture? My white leather jacket with sleeves scrunched. Inguun if you are reading this you will see I am full of contradictions. Here I am wearing high contrast booties (picture 4) plus preferring my dress without dark stockings. Go figure, ephemeral fashion.